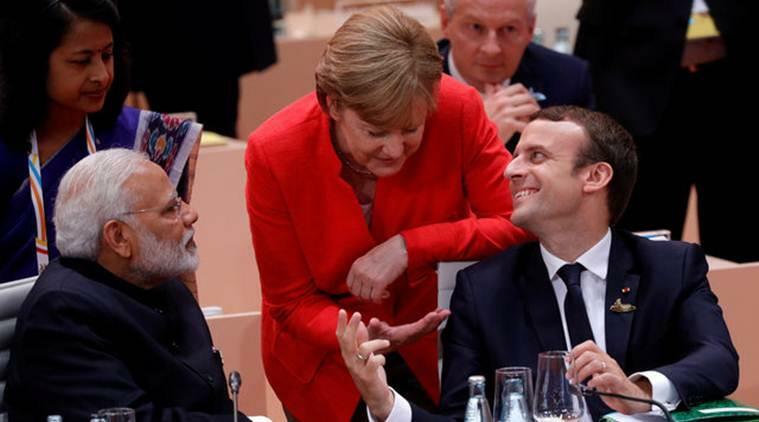 India today joined 18 other G20 members to strongly support the fight against global warming by terming the Paris climate deal as "irreversible", leaving the US, which walked out of the pact, isolated. The two-day G20 Summit saw the Indian side making "significant contributions" on resolve to counter terrorism and boost global trade and investment. The Summit, attended by Prime Minister Narendra Modi along with top world leaders including host Angela Merkel and US President Donald Trump, was however came under the shadow of unprecedented violent protests in this German port city where thousands of anti-capitalism protesters clashed with police and turned this harbour town into a fortress. Unfortunately, the US stand remains against the Paris pact but all other members have shown strong support on climate change, Merkel, the German Chancellor, said. She said the communique clearly mentioned the US dissent and the position of all other members. "Obviously it could not be a fully common position," Merkel told reporters. "All G20 members except the US agree that the Paris agreement is irreversible," she said. Trump in June announced that the US will withdraw from the Paris climate accord, saying the deal agreed by more than 190 nations unfairly benefited countries like India and China. Trump's decision had drawn sharp criticism from international leaders, business groups and green activists. The objective of the Paris Agreement is to prevent an increase in global average temperature and keep it well below 2°C. The Agreement was adopted on December 12, 2015, by 195 parties to the United Nations Framework Convention on Climate Change (UNFCCC), replacing its predecessor Kyoto Protocol. It was finally ratified on November 4, 2016. In the G20 communique, the leaders said they remained committed to fighting corruption, including through international cooperation and technical assistance. They also resolved to advance effective implementation of international standards on beneficial ownership in domestic and cross border context. The leaders also called for completion of the IMF quota reforms and a new quota formula by 2019. They acknowledged that the malicious use of information and communications technologies can endanger financial stability. The leaders said that digitalisation offered opportunity for creating new jobs but there was a need to impart necessary skills for the future of work. They also called for the removal of market distorting subsidies and sought global cooperation to tackle excess capacity in industrial sectors. When SRK backed out of a film starring Dilip Kumar and Big B!